This Friday some people will be so paralyzed with fear they simply won't get out of bed. Others will steadfastly refuse to fly on an airplane, buy a house, or act on a hot stock tip. It's Friday the 13th, and they're freaked out. "It's been estimated that [U.S] $800 or $900 million is lost in business on this day because people will not fly or do business they would normally do," said Donald Dossey, founder of the Stress Management Center and Phobia Institute in Asheville, North Carolina. 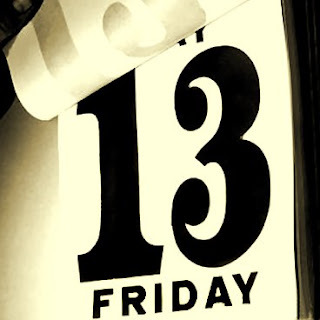 Among other services, Dossey's organization counsels clients on how to overcome fear of Friday the 13th, a phobia that he estimates afflicts 17 to 21 million people in the United States. When it comes to bad luck of any kind, Richard Wiseman—a psychologist at the University of Hertfordshire in Hatfield, England—found that people who consider themselves unlucky are more likely to believe in superstitions associated with bad luck.